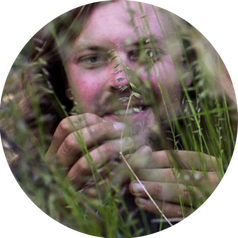 Caleb Weaver is an ecological restorationist, environmental educator, and landscape designer who lives in Patagonia, Arizona. Caleb works to cultivate vibrant relationships between people and the natural world by engaging high school students to restore their home watersheds and designing urban restoration projects. Growing up in rural Connecticut – where meadow meets swamplands – he developed a bond with the natural world that followed him to the arid Southwest. Caleb earned Bachelor’s degrees in Ecology/Evolutionary Biology and Geosciences from the University of Arizona in 2011. Since then, he’s developed the Borderlands Earth Care Youth program into the programs that serve the communities of Patagonia, Nogales, and Douglas, Arizona.